The Carnival of Evolution #66 is up! Or rather it has been up since the 1st of December… [sigh] Yes, I am that pathetic. However, I couldn’t let another month go by with my failing to fulfill my CoE obligation especially given that this edition of the Carnival is being hosted by my friend and colleague the inestimable John Wilkins over at Evolving Thoughts (which you should be reading regularly anyway). Another selling point for this CoE is, as the presence of the TARDIS (over there on the left of this post) indicates, the Carnival of Evolution is yet again going under a Doctor Who theme. This time it is The Day of the Doctor..of Evolution! 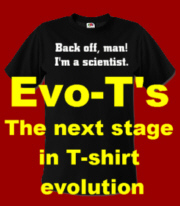 Lots of evolutionary goodness, so go and check it out! Besides, if you don’t the Cybermen will win! Though I have been neglectful of my participation in the Carnival of Evolution you can still find all the previous installments at this link. Go and read! The Carnival of Evolution #59 is up! Yes, the Carnival of Evolution LIX is up and waiting for your visit from wherever in the nigh on infinite reaches of time/space you might happen to be reading this from. This month it is being hosted at DNA Barcoding, and is titled “A letter from the Doctor”. Now go check it out or the Daleks will win! I have been shamefully neglectful of my participation of the Carnival of Evolution but all the previous installments can be found here. If you missed any of these you’ll definitely want to go check them out as well! The Carnival of Evolution #49 is up! Another month has passed and another Carnival of Evolution(#49) has arrived for your edification. This month it is being hosted by Mousetrap: ecology & evolution footnotes and you NEED to go and absorb ALL the evolutionary knowledge it contains! Fly my minions, fly!!! Extra! Extra! The Carnival of Evolution #47 is up! Read all about it at Evolving Thoughts, blog of eccentric Australian philosophy mogul John Wilkins! 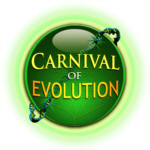 The 45th Carnival of Evolution is now available! And it’s just lousy with bugs! This month the Carnival of Evolution hive is infesting Splendour Awaits, weblog of photographer and amateur insect enthusiast Adrian Thysse. Creep or crawl your way over there and check out all the invertebrate wonderfulnessness! Note: The Carnival is trying something a bit new this go around by presenting the article summaries and links in Google Docs – Presentation (a slide show format). If you have any difficulties seeing the slide window, please try another browser (Google Chrome worked best for me).